For all guests who want to write us a review, I will take you one step deeper into Nichome at the end of the tour! This tour is made to be ideal for people visiting Nichome for the first time. However, even people who have come before or even a few times may be surprised upon realizing how little they broke past the surface. 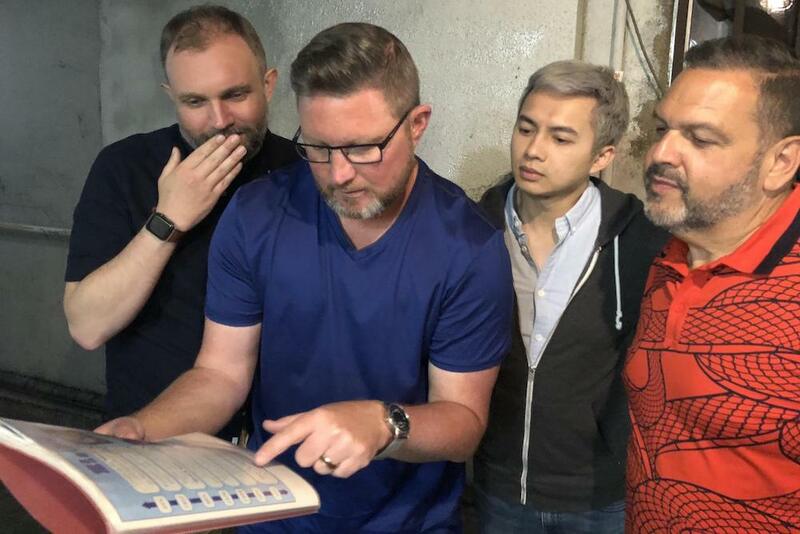 We’ll show Nichome from the inside and out, giving both an overview look of the town as a whole, and stepping into a tucked-away gay bar to experience it from an insider’s point of view. 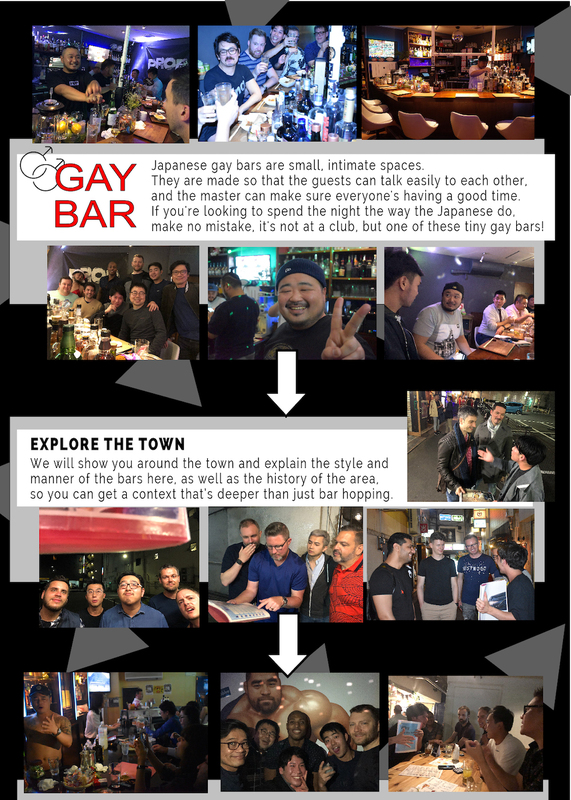 First, we’ll start things off with an authentic Japan-style gay bar! 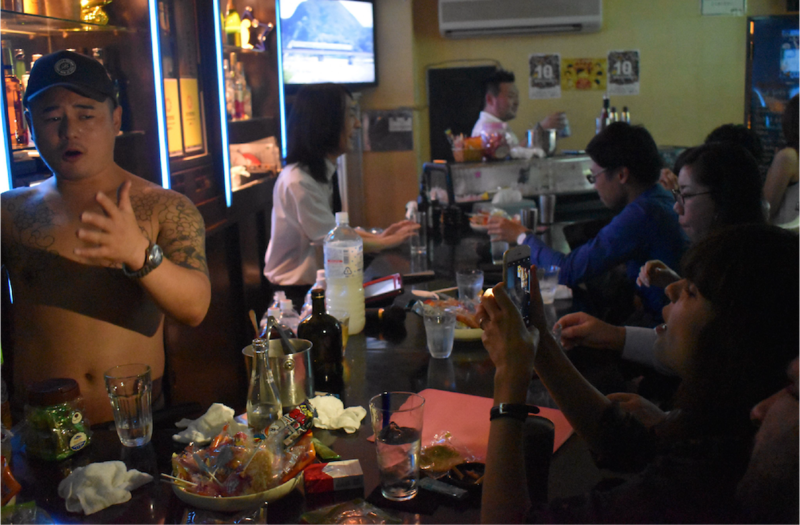 As for what makes a gay bar Japan-style, the first thing you’ll notice is the size. 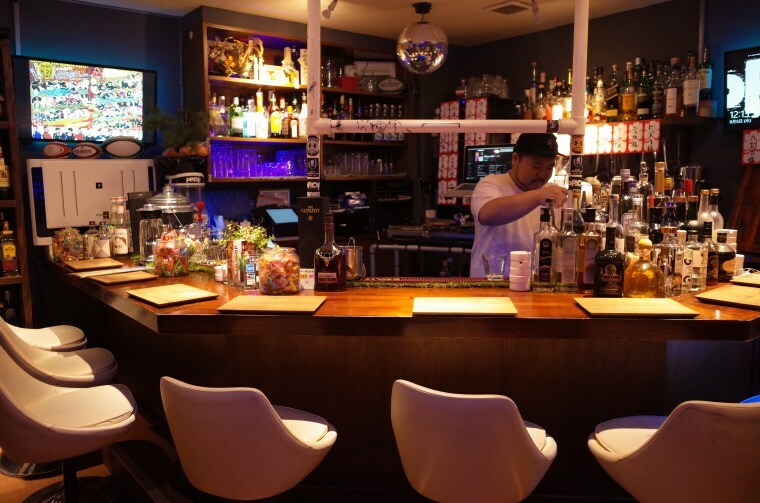 Most Japanese gay bars can fit at most ten people, and at fewest four or five. 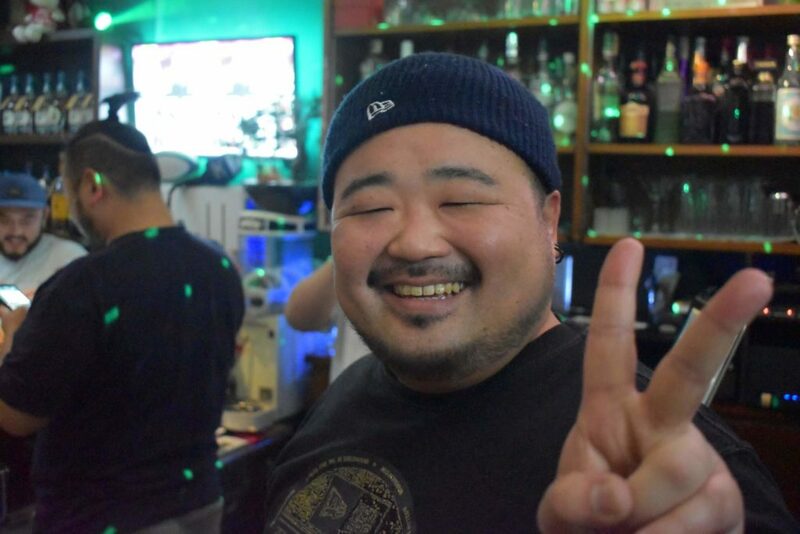 Because hospitality is key at these places, they are made so that the guests can talk easily to each other, and the master can make sure everyone’s having a good time. 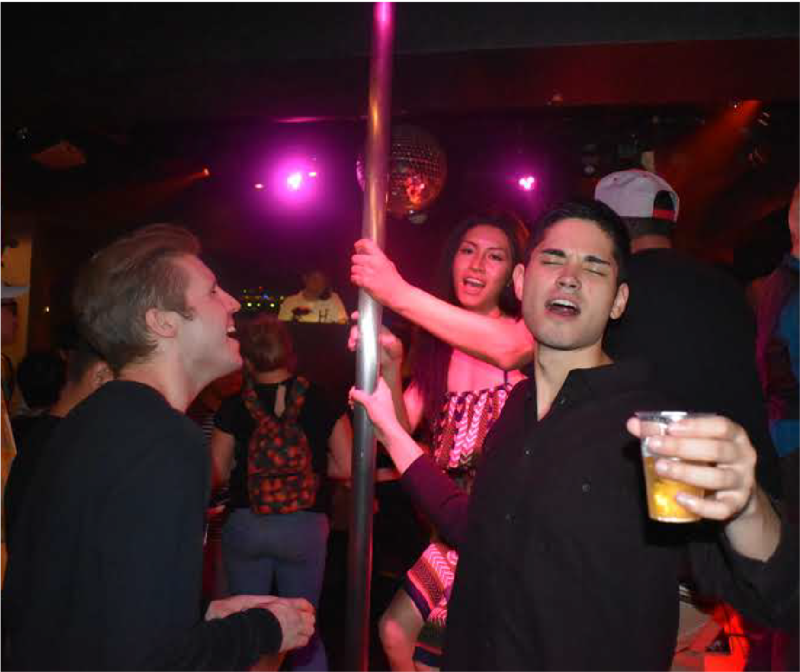 If you’re looking to spend the night the way the Japanese do, make no mistake, it’s not at a club, but one of these tiny gay bars! so you can get a context that’s deeper than just bar hopping. 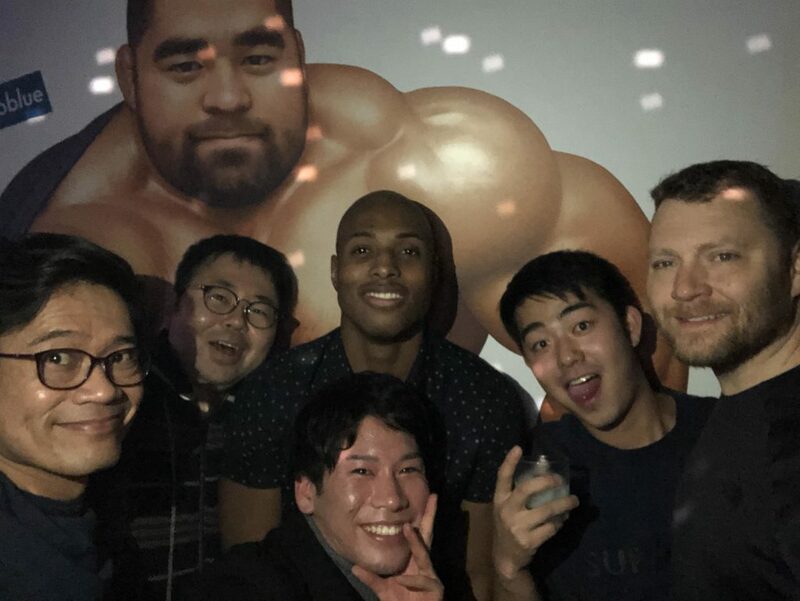 More spacious than the gay bars, the lounge style is popular with gay guys in their twenties and thirties, and we’ll take you to the spot that’s most popular with young gay guys. We’ll hang out here and chat with and keep watch on hot young gay guys. This is my prime hunting ground! We’ll leave the choice of the last place up to you. Let’s go somewhere in Nichome that caught your eye! 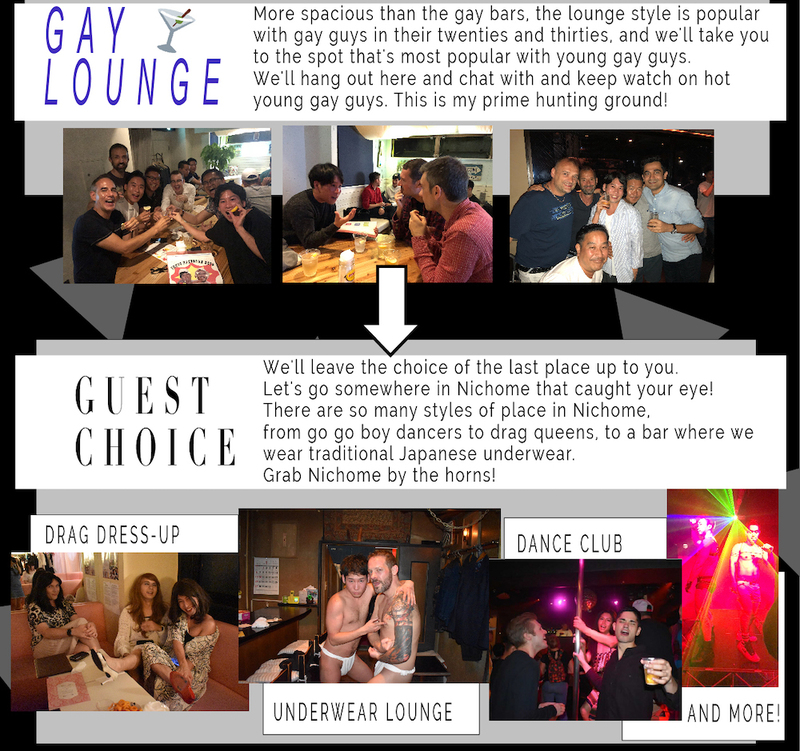 There are so many styles of place in Nichome, from go go boy dancers to drag queens, to a bar where we wear traditional Japanese underwear. Grab Nichome by the horns! There’s also the possibility to change the first two bars depending on the guests’ preference. We are flexible!! 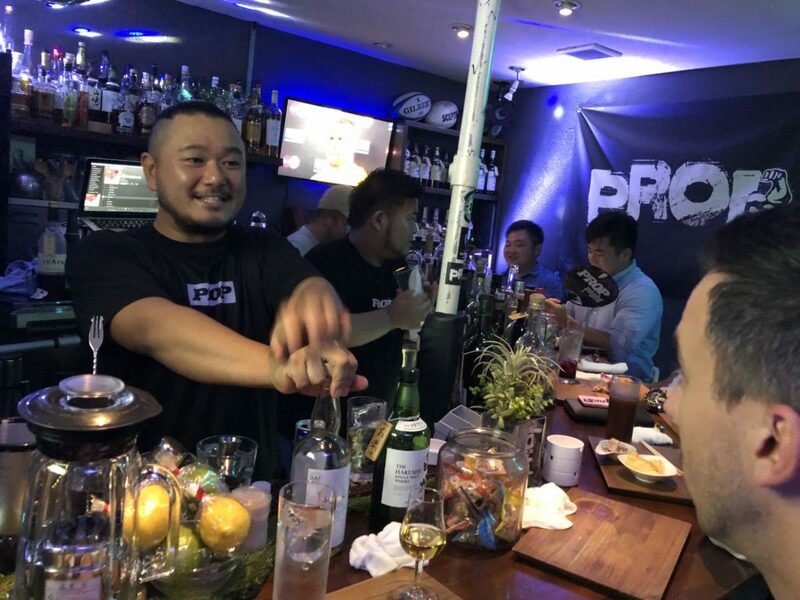 Our favorite part was when our ultra legit hosts got us into an ultra exclusive and intimate local bar which would only be accessible to locals in most cases. We really got a lot out of it and had the time of our lives cavorting with the patrons and the ebullient owner/bartender. Actually, we even went back to his bar by ourselves after the tour was over we had so much fun! 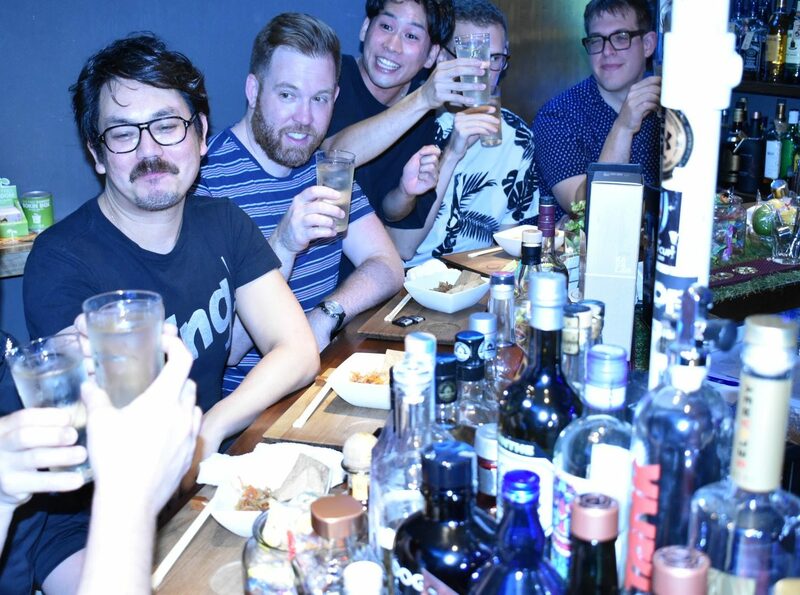 This tour is the sickest, and easily the funnest night we had of two weeks in Tokyo filled with other experiences. 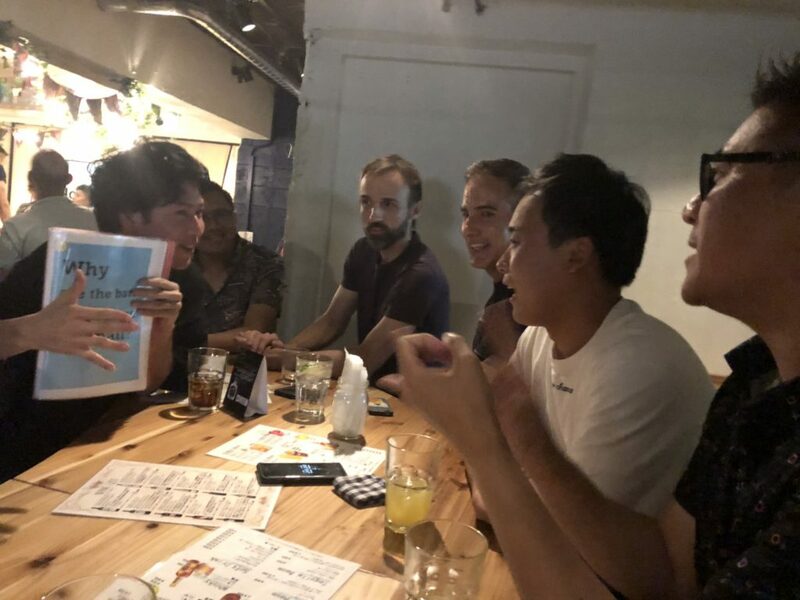 Kevin and Naoki are the bomb and had us practically begging for more sweet, sweet hangout time. 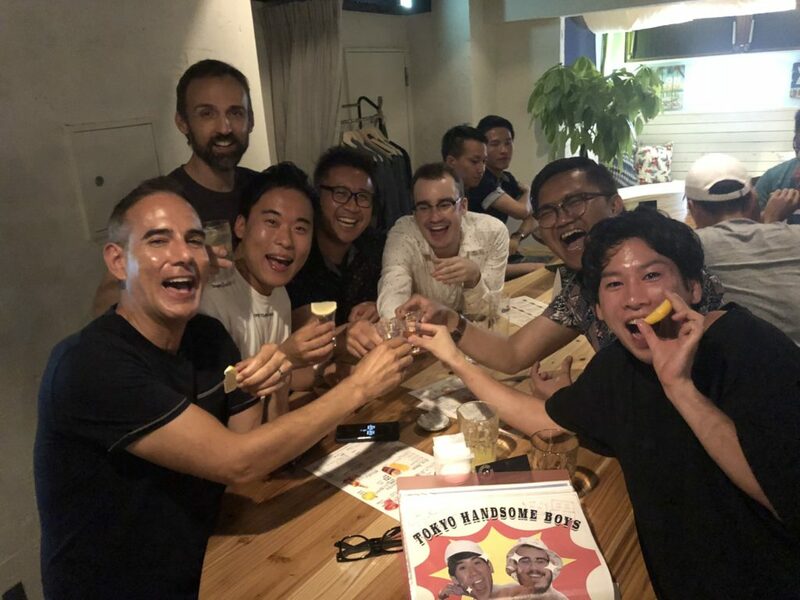 Thanks a lot friends, you're the real Tokyo Handsome Boys. 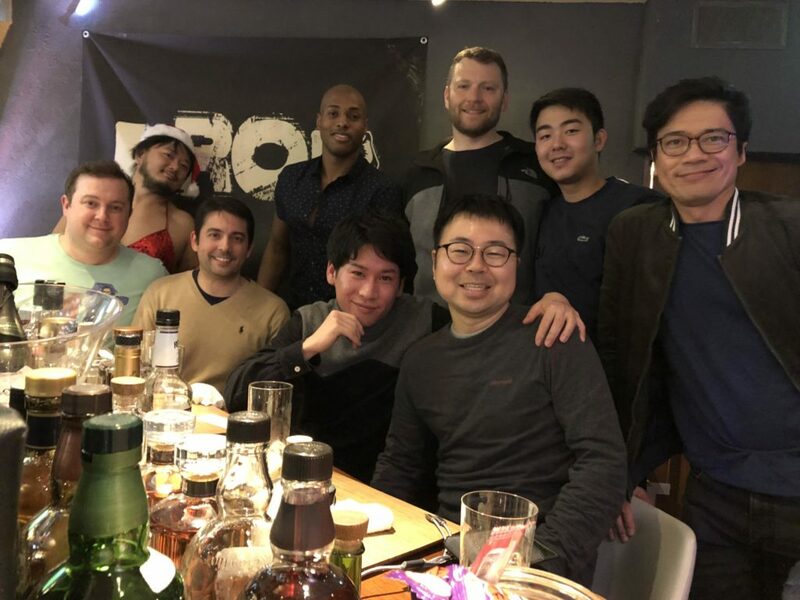 Absolutely unique experience!! And I even had a chance to sing karaoke at the tiny local hidden bar which I swore I wouldn’t do it. 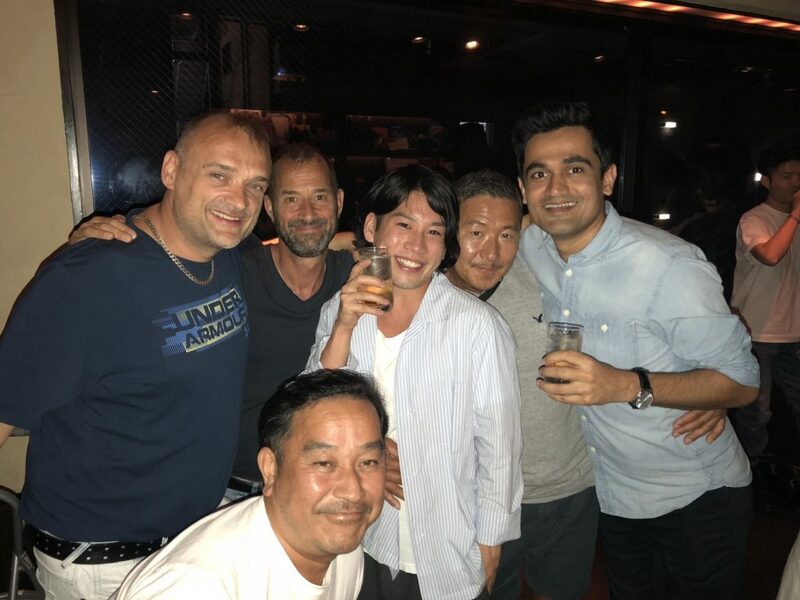 Thank you to Kevin and Naoki! Naoki and Kevin were incredible hosts and were friendly and incredibly knowledgeable. 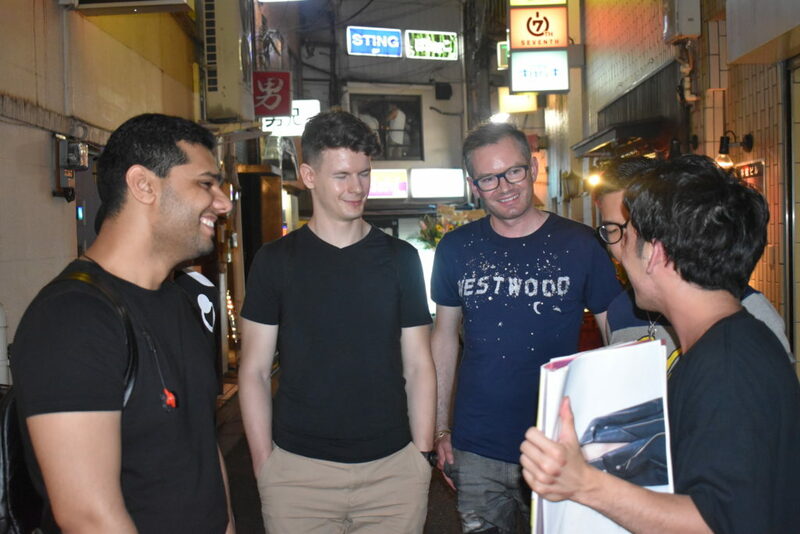 They showed us a side of Tokyo that we would never get to see otherwise as non-Japanese-speaking foreigners, showing us a tiny gay bar, introducing us to friends, etc. They were so welcoming, generous, accommodating. Such a fun night.